WIth PayWhirl you can create as many Widgets as you need. Each widget can hold as many payment plans and upsells as you choose. You can even select a "disabled plan" with the widget builder and it will be visible in that widget. 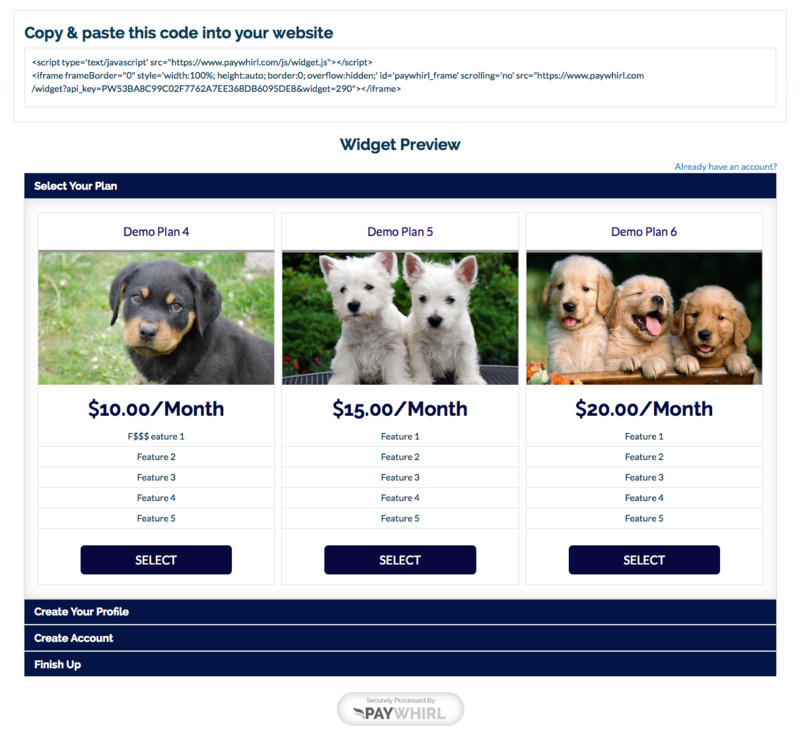 From this page you can name your new widget and choose the plans an upsells you would like to include on the new widget. Save when you are done. You can create as many widgets as you need. To embed the widget edit the widget you just created and it will have a live preview and the embed code to copy and paste.